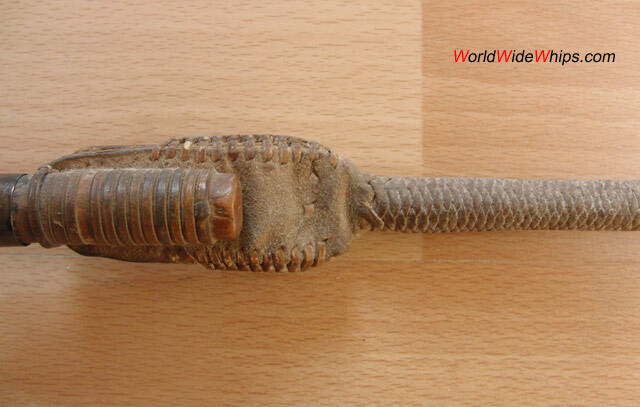 The origin of this whip is yet unknown, maybe Kazakhstan. 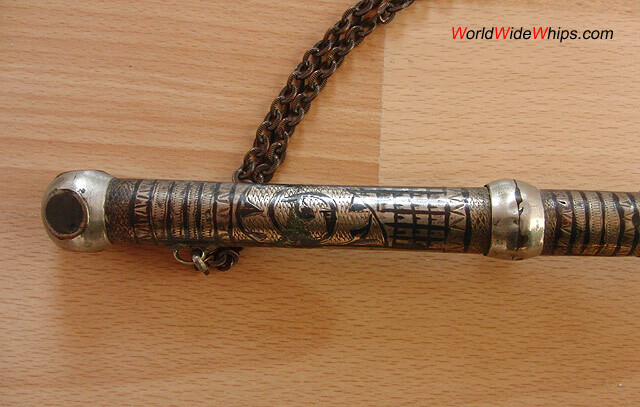 The handle is a metal tube (silver plated copper alloy) with a wooden core. 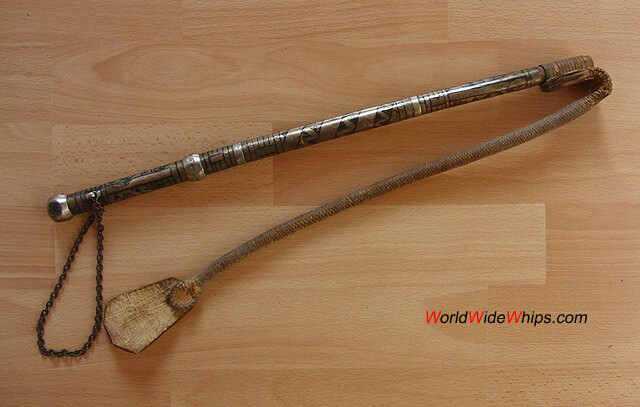 The whip itself is braided from rawhide, with a wide slapper attached.